Change a Task Status by moving tasks in a different lanes. 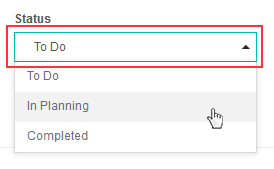 Drag and drop tasks on Kanban board in a lane to change the status of the tasks. 1. Drag and Drop Tasks of User Story. 2. The tasks status can also be changed by editing the tasks for its status.